Two generous donors have offered to match contributions to the Hillsdale Community Schools Band Instrument Fund, up to a total of $5,000, for all donations received January 15-February 28, 2018. In response to an increase in members, the Hillsdale High School band program is seeing a need for more band instruments. There is currently a waiting list of students who would like to be in the band if more instruments would become available. A band instrument fund has been established at the Hillsdale County Community Foundation to receive tax-deductible donations for the purchase of more instruments. Donations will be disbursed to the Hillsdale Community Schools, earmarked for the high school band and specifically for instrument purchases and repairs. If you would like more information about the Band Instrument Fund, you are invited to contact the Hillsdale County Community Foundation or visit the fund’s web page at www.hillsdaleband.org. The Hillsdale Community Schools band program thanks all supporters for giving the gift of music.  Send your contribution to the Hillsdale County Community Foundation, PO Box 276, Hillsdale, MI, 49242, indicating “Hillsdale Band Instrument Fund” in the memo line. Consult your professional advisor about the benefits and eligibility requirements of making an IRA Charitable Rollover gift directly to the Hillsdale County Community Foundation for the “Hillsdale Community Schools Band Instrument Fund.” Please call the Foundation at (517) 439-51 01 if you need assistance.